Effect of three concentrations (0.25, 0.75 and 1.25ppb) of chlorpyrifos administered for 96 h has been studied on hematological and seral biochemical components of Oreochromis mossambicus. RBCs, Hb and Hct decrease significantly (p < 0.05) indicating an anemic condition, while the WBCs and platelet counts increased significantly (p < 0.05) in all the treated groups compared to the control group. Among the seral biochemical parameters, the level of blood glucose, cortisol and cholesterol were significantly increased (p < 0.05), which is an adaptive response to the stressor agent, while total plasma proteins and triglyceride level were significantly decreased (p < 0.05). SG conducted the study. ST and MFK designed the study. MSA and NA conducted statistical analysis. ST and MFK revised the manuscript. Pesticides, Chlorpyrifos, Hematology, Biochemical parameters, Oreochromis mossambicus. Chlorpyrifos (O, O-diethyl-O-3,5,6-trichlor-2-pyridyl phosphorothioate) is an organophosphate pesticide, which is commonly used to control pests on paddy fields, pasture, cotton, vegetable crops and fruit trees including oranges, bananas and apples (Rao et al., 2003; Gomez, 2009; Grube et al., 2011). Chlorpyrifos is highly toxic to fish and effects the growth and reproductive activity in fish (Levin et al., 2004; Sledge et al., 2011) and also damage their gills and liver (Xing et al., 2012). It is found that chlorpyrifos also causes several others effects i.e. causing hepatic dysfunction (Poet et al., 2003), genotoxicity (Mehta et al., 2008), hematological alterations (Alagoa and Ekweozor, 2009), neurochemical and neurobehavioral alterations (Slotkin et al., 2005), decreases the glutathione (GSH), catalase (CAT) and glutathione S transferase (GST) activities in fish (Goel et al., 2005), effect hatchling’s and swimming behavior (Levin et al., 2004) and also decreased serum estrogen and testosterone levels (Oruc, 2010). Fish is highly sensitive to pollutant, so it can be used as indicator of pollution in Eco toxicological research (Bantu et al., 2013). As blood is the patho-physiological indicator of the entire body, so hematological parameters play a vital role in analyzing the structural and functional rank of the animal treated with toxicant (Jenkins et al., 2003). Various biochemical parameters of fish can be used as biomarkers because they are sensitive to stress (Gulhan et al., 2012). In stressful circumstances the chromaffin cells discharge catecholamine hormones, adrenaline and noradrenaline to blood circulation. These stress hormones in combination with cortisol increase glucose formation in fish by the process of glucogenesis and glycogenolysis (Iwama et al., 1999) to fulfil the energy required created by the toxicant for the “fight of flight” response, so it can be used as bio-indicator. The most abundant and active corticosteroid hormone in fish blood is cortisol. Gills, intestine and liver are the prime target organs for cortisol hormones which reveal the two key roles of cortisol i.e. osmoregulation and maintenance of a balanced energy metabolism (Hontela, 2005). Chlorpyrifos has toxic effect on fish cortisol hormone such as its biosynthesis and release rates (van der Salm et al., 2004). The pesticides can severely affect the physiological and health status of the fish. Therefore, the acute or chronic toxicity of pesticides to fish can be detected through bio-laboratory test and routine laboratory tests (Banaee et al., 2008). Present study was conducted to find out the effect of sub lethal concentration of chlorpyrifos, the most widely used pesticide in Pakistan on certain hematological and serum biochemical parameters of O. mossambicus. A total of 25 Tilipia fish (Oreochromis mossambicus) measuring 4-5 inches in length were collected from Tarbella lake (Haripur) with the assistance of local fisher man and carried to the laboratory of Government Postgraduate College Haripur within 2 h for further analysis. Fishes were acclimatized to the laboratory conditions for a week before the start of experiment in aerated glass aquaria filled with 30 L water. During this period fish were fed on daily basis with artificial pelleted commercial food. After feeding, the excess food was removed and 70% of water was replaced on daily basis during the acclimatization period. Four aquaria of 60L water capacity are taken and fill with 30 L of water per aquarium. Five fish were randomly selected and stock in each aquarium. They were exposed to four different concentrations of Chlorpyrifos labeled, E0, E1, E2, and E3 for 96 h. E0 with zero concentration of Chlorpyrifos served as control, E1 had 0.25ppb, E2 had 0.75ppb, and E3 had 1.25ppb. After 96 h, the blood was collected from caudal vein with the help of heparin coated syringe from both the control and Chlorpyrifos treated groups of fish and preserved in EDTA tubes containing a fine layer of EDTA as anticoagulant. These tubes were shaken gently and kept at 4°C. The collected blood samples of both control and experimental group of fish were used for the determination of various hematological parameters in five fishes from each tank through hematology analyzer. For determination of blood glucose and cortisol level blood was collected from caudal vein with the help of syringe from both the control and Chlorpyrifos treated groups of fish and preserved in clotted tubes. This blood was then centrifuged at 13,000 rpm for 10 min in order to separate the serum which was then used to estimate the total protein, cholesterol, triglyceride, blood glucose and cortisol level in five fishes from each tank by using biochemical analyzers. All the values of various hematological and biochemical parameters were expressed as mean ± SD. Variable at the different experimental concentrations were compared to each other by ANOVA test, while comparison between control and experimental groups were made by t-test. While values of P < 0.05 were considered significant. Fish in control group showed normal swimming behavior while those in experimental groups exposed to different concentration of Chlorpyrifos showed severe symptoms including rapid swimming, loss of equilibrium with time, severe slime secretion, swimming at lateral sides, sign of stress, high operculum movement, tried to jump out from aquaria, directed their tail downward and head upward etc. Table I shows the effect of different concentrations of Chlorpyrifos in different hematological and biochemical components of blood. Compared to control group of fish, WBCs (103/µL) and number of platelets (103/µL) were increased significantly in all three experimental groups. In contrast the number of RBCs (106/µL), hemoglobin level (g/dl), hematocrit (%) and MCV were decreased significantly in all the three experimental groups of fish vs control group. Table I.- Effect of Chlorpyrifos on hematological and biochemical components of blood serum of Oreochromis mossambicus. Values are expressed as mean ± SD (n=5 fish per treatment). **, significant difference between control and experimental group (p< 0.05); α, significant intergroup difference; NS, non-significant. As compared to control group of fish, blood glucose level (mg/dl), cholesterol and blood cortisol level (ng/dl) were increased significantly in all three experimental groups. On the other hand, total protein (mg/dl) and triglycerides of all the experimental groups were significantly decreased vs. control group. These findings are similar to the findings of other researchers studying the responses of other fishes treated with organophosphorus pesticides such as Grass carp exposed to endosalfan (Hasan et al., 2015) and Labeo bata exposed to chlorpyrifos (Samajdar and Mandal, 2015). Nile thilapia (Oreochromis niloticus) exposed to varying concentrations of sage oil exhibited no significant changes in hemoglobin level compared to control group (Aydin and Harmantepe, 2018). Decrease of RBC and hemoglobin may be due to either increased rate of erythrocyte destruction or inhibition of RBC formation and hemoglobin synthesis (Jenkins et al., 2003; Ramesh and Saravanan, 2008). The increase in WBCs number under chlorpyrifos toxicity showed that in fish it activated the leucopoietic machinery to produce more and more white blood cells in blood circulation which resulted in increasing the TLC. Under stress conditions created by toxic substances activate the process of lymphopoiesis and also promote the lymphocytes release from lymphomyeloid, which lead to increase the total number of WBCs (El-Sayed et al., 2007) as observed in 4 tetr-octylphenol exposed C. dimerus (Vazquez and Nostro, 2014). The increase in the number of platelets is to strengthen the phagocytic activity of the fish under chlorpyrifos toxicity because in fish they are considered as phagocytic in function. The reduction in hematological values indicate anemia in exposed fish. The decrease in the RBC count may be due to the increase rate of erythrocyte destruction in the hematopoietic organ or due to the inhibition of erythropoiesis, haemosynthesis or osmoregulatory dysfunction (Vani et al., 2011). Anemia associated with erythropenia was reported for several freshwater fish species (Svoboda et al., 2001). Similar findings were obtained by Yekeen and Fawole (2011) in Clarias gariepinus, Tamizhazhagan and Pugazhendy (2015) in Labeo rohita, Adhikari et al. (2004) in L. rohita, Ramesh and Saravanan (2008) in C. carpio by treating them with endosulfan, monocrotophos, cypermenthrin and chlorpyrifos, respectively. In present investigation, O. mossambicus displayed significant elevations in blood glucose level when exposed to sublethal concentrations of chlorpyrifos, which agrees with those found by Banaee et al. (2008) in common carp (Cyprinus carpio) by exposing to diazinon, and Ikpesu (2015) in Clarias gariepinus by exposing to Paraquat dichloride. The high blood glucose concentrations showed that the fish is under stress and is intensively using reserves food material i.e., glycogen in muscles and liver. The present investigations gained support from the findings of Dalela et al. (1981), who found significant increase in Mystus vittatus blood glucose level on exposure to three different pesticides i.e. dichlorvos, thiotox and carbofuran. According to them the high blood glucose level shows the disrupted metabolism of carbohydrate which may be due to increase in the process of glycogenolysis, perhaps mediated by adrenocorticotropic hormone, glycogen hormone and lower insulin activity. Similar increase in blood glucose levels was also reported in Heteropneustes fossilis by Saha and Kaviraj (2009), in O. mykiss by Banaee et al. 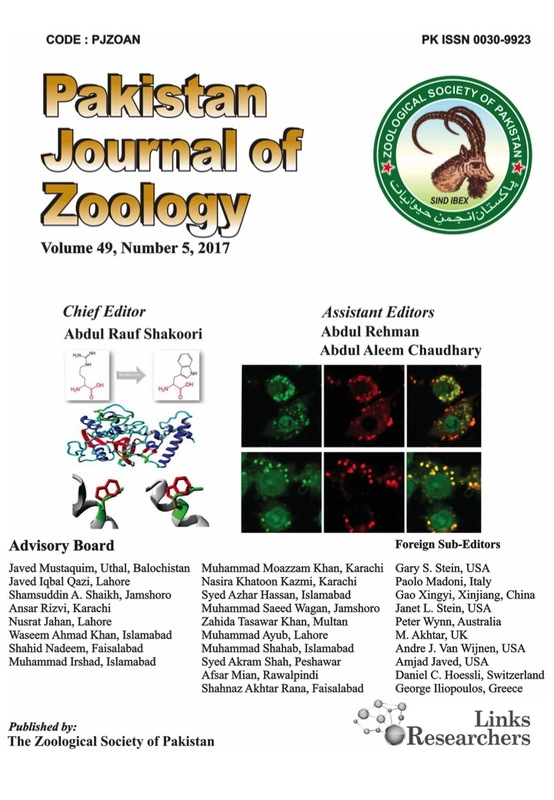 (2011) and in Channa punctatus by Ahmad (2015) on exposure to cypermethrin, diazinon and malathion. Increase in blood glucose of fish exposed to the chlorpyrifos may reflect an increased need for energy to counteract the effects of stress caused by chlorpyrifos toxicity. Hyperglycemia or elevated blood glucose levels indicate impaired glucose and lipid metabolism and degradation of glycogen in liver (Acker and Nogueira, 2012). The O. mossambicus exposed to sub lethal concentrations of Chlorpyrifos resulted in a significant elevation of blood cortisol level. As cortisol is a stress responsive hormone under toxic conditions, it has been widely reported in a number of fish under different types of pesticide exposure and can be used as a biomarker to evaluate the harmful effect of pesticides on the health status of an organism. Similar report has been made by Ikpesu (2015) in Clarias gariepinus by exposing to 0, 2, 4, 6 and 8 μg/L of Paraquat dichloride for 28 days. Similar to our finding Ramesh et al. (2009) studied the hormonal responses of Cyprinus carpio by exposing it to 4.10 ppm of lead nitrate for 24 days. They found increased in plasma cortisol level as concentration increased. According to them the increase in blood cortisol level is considered an adaptation in response to different types of stressors, primarily related to the energy- mobilizing properties of cortisol and its role in retaining the balance of ions. Similar to our finding, Firat et al. (2011) studied the effect of pesticides and two different metals (copper and lead) on serum biochemistry of Nile Tilipia by exposing it to 0.05 µg/l cypermethrin, 0.05 mg/l of copper and lead for 21 days. They found increased in cortisol level as the concentration of pesticides and metal increases. According to them the increase in the blood cortisol level may be due to the de novo stimulation of the HPI axis in response to the stress created by pesticides and metals. The stress hormone cortisol has been shown to increased glucose production in fish, by the process of gluconeogenesis and glycogenolysis. Increase in cortisol level was also reported by Borges et al. (2007) in R. quelin, treated with cypermethrin and suggested that stress and related with the increase in cortisol levels. Similar results were reported by Khan et al (2018), studied the sublethal effect of cypermethrin on heamatology profile of Labeo rohita during acute toxicity for 96 h.
The O. mossambicus treated with different sub lethal concentration of chlorpyrifos showed a significant decrease in total plasma proteins content with respect to control group. This decrease in total proteins content is due to the degradation of proteins in order to increase the proteolytic activity and use of their products for metabolic activities (Mastan and Rammayya, 2010). Similar result was also obtained in Labeo rohita exposed to endosulfan, fenvalerate and imidaeloprid by Saravanan et al. (2010), Prusty et al. (2011) and Qadir et al. (2014), respectively. Similar decrease in total plasma proteins content were also reported by Suganthi et al. (2015) in O. mossambicus by exposing it to different concentrations of cobalt chloride. Triglyceride level O. mossambicus serum were significantly decreased, while cholesterol level was increased as the concentration of chlorpyrifos increases in comparison to control group. Similar findings were also obtained by Prusty et al. (2011) and Qadir et al. (2014) in L. rohita by exposing it to fenvalerate and imidacloprid, respectively. The outcomes of present investigation reveal that exposure for 96 h to the pesticide chlorpyrifos at different concentrations cause several changes including significant increase in RBCs, Hb, HCT, blood glucose and cortisol level while significant decrease in WBCs, MCV, platelets, total protein and triglycerides in O. mossambicus. The result showed that the presence of chlorpyrifos in aquatic ecosystem is toxic to O. mossambicus. 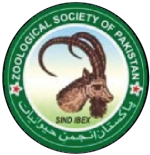 We are thankful to Department of fisheries Haripur, Khyber Pakhtunkhwa, for its support in samples collection. Authors have declared that there is no conflict of interest. Ahmad, M.T., 2015. Comparative Study of Biochemical Alterations Induced by Carbofuran and Malathion on Channa punctatus (Bloch). Int. Res. J. biol. Sci., 4: 61-65. Banaee, M., Mirvaghefi, A.R., Ahmadi, K. and Banaee, S., 2008. Determination of LC50 and investigation of acute toxicity effects of diazinon on hematology and serology indices of common carp (Cyprinus carpio). J. Mar. Sci. Technol., 3: 1-10. Bantu, N. and Vakita, V.R., 2013. Acute toxicity of chlorantraniliprole to freshwater fish Channa punctatus (Bloch). Adv. Zool. Bot., 1: 78-82. Dalela, R.C., Rani, S., Kumar, V. and Verma, S.R., 1981. Invivo hematological alterations in a fresh-water teleost Mystus vittatus following sub-acute exposure to pesticides and their combinations. J. environ. Biol., 2: 79-86. Gomez, L.E., 2009. Use and benefits of chlorpyrifos in US agriculture. Dow AgroSciences, LLC. Grube, A., Donaldson, D., Kiely, T. and Wu, L., 2011. Pesticides industry sales and usage: 2006 and 2007 market estimates. United States Environmental Protection Agency, Office of Pesticide Programs, Biological and Economic Analysis Division, Washington, DC, EPA 733-R-11-001. Gulhan, M.F., Duran, A., Talas, Z.S., Kakoolaki, S. and Mansouri, S.M., 2012. Effects of propolis on microbiologic and biochemical parameters of rainbow trout (Oncorhynchus mykiss) after exposure to the pesticide. Iran. J. Fish. Sci., 11: 490-503. Hontela, A., 2005. Adrenal toxicology: Environmental pollutants and the HPI axis. Biochem. mol. Boil. Fish., 6: 331-363. Ikpesu, T., 2015. Effects of agro-chemicals on fishes: With reference to changes in circulating biochemical parameters in Clarias gariepinus induced with Paraquat dichloride. Progr. biol. Sci., 5: 111-120. Kaoud, H.A., Zaki, M.M., El-Dahshan, A.R., Saeid, S. and El Zorba, H.Y., 2011. Amelioration the toxic effects of cadmium-exposure in Nile tilapia (Oreochromis niloticus) by using Lemna gibba L. Life Sci. J., 8: 185-195. Mastan, S.A. and Rammayya, P.J., 2010. Biochemical profile of Channa gachua (Ham) exposed to sublethal doses of Dichlorovas (DDVP). The Internet J. Toxicol., 8: 27-32. Qadir, S., Latif, A., Ali, M. and Iqbal, F., 2014. Effects of imidacloprid on the hematological and serum biochemical profile of Labeo rohita. Pakistan J. Zool., 46: 1085-1090. Ramesh, M., Saravanan, M. and Kavitha, C., 2009. Hormonal Responses of fish, Cyprinus carpio, to environmental lead exposure. Afr. J. Biotechnol., 8: 4154-4158. Ramesh, M. and Saravanan, M., 2008. Haematological and biochemical responses in a freshwater fish Cyprinus carpio exposed to chlorpyrifos. Int. J. Integr. Biol., 3: 80-83. Samajdar, I. and Mandal, D.K., 2015. Acute toxicity and impact of an organophosphate pesticide, chlorpyrifos on some haematological parameters of an Indian minor carp, Labeo bata (Hamilton 1822). Int. J. environ. Sci., 6: 106. Saravanan. T.S., Rajesh, P. and Sundaramoorthy, M., 2010. Studies on effects of chronic exposure of endosulfan to Labeo rohita. J. environ. Biol., 31: 755-758. Suganthi, P., Soundarya, N., Stalin, A. and Nedunchezhiyan, S., 2015. Toxicological effect of cobalt chloride on freshwater fish Oreochromis mossambicus. Int. J. appl. Res., 1: 331-340. Tamizhazhagan, V. and Pugazhendy, K., 2015. The toxicity effect of monocrotophos 36% e. C on the haematology, Labeo rohita (Hamilton, 1882). Int. J. Curr. Pharm. Res., 7: 92-95.